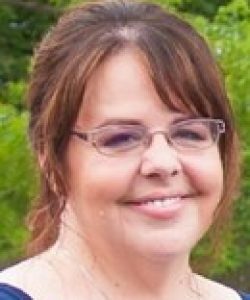 Kathleen Ann Fleming, 48, died unexpectedly at home on Tuesday, April 2, 2019. Born in Worcester and raised in Jefferson, Kathy was the beloved daughter of Valerie A. (Nixon) and the late Joseph R. Fleming. Kathy graduated from Wachusett High School with the class of 1988 and went on to earn a Bachelor of Science degree in Business from Bryant University in Smithfield, RI. She was a Sales Representative for General Mills for most of her professional life before transitioning to a banking position at Citizen’s Bank in Milford, NH. She devoted herself to her family, friends, and had an unwavering devotion to serving her community. She was a beloved member of the Red Cross team who most recently served as the Disaster Action Team (DAT), Merrimack Valley Leader for the American Red Cross, where she led the largest team in the NH/VT Region, who responded to home fire emergencies, disasters, flooding, and addressed the needs of those affected by providing necessities (including food, clothing, and shelter). Kathy enjoyed volunteer vacations to South Dakota to assist on the Navajo Native American Reservations. She also served as a mentor for the American Corporate Partnership in New York City partnering with active or veteran status military seeking to re-enter the workforce. Watching documentaries, attending the Highland Games, and creating beautiful cakes were among her many interests and talents. Kathy’s warm, generous spirit and quick wit left an indelible mark on the hearts of many and she will be dearly missed by her close friends, community members, fellow volunteers, and co-workers. Kathleen will be lovingly remembered by her mother, Valerie A. (Nixon) Fleming of West Boylston; and her sister, Kara Dufault and her husband, Todd of Worcester. A Mass of Christian Burial will be celebrated at 10 a.m. on Friday, April 12, 2019 at St. Mary’s Church, 114 Princeton Street, Jefferson, MA. Burial will follow at Worcester County Memorial Park, 216 Richard’s Ave, Paxton, MA. All are welcome to join the family in a celebration of Kathleen’s life at 1 pm at the Club House at Angell Brook Village, 200 Angell Brook Dr., West Boylston. 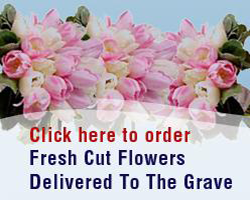 Funeral arrangements are under the care of Miles Funeral Home, 1158 Main St., Holden. 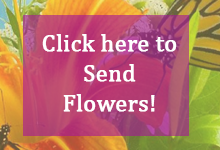 In lieu of flowers donations may be made to Red Cross of Central MA, 2000 Century Drive, Worcester, MA 01606-1256.